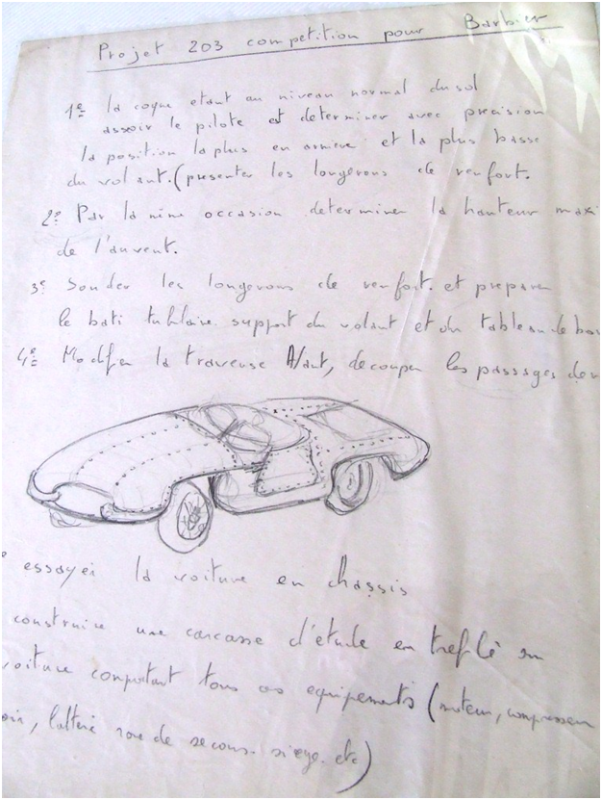 At the end of the main article there is a picture of an unidentified vehicle that resembles other Barbier coupes and which appeared among material on Barbier with the question, is this a later unidentified car? On reflection I think not as some details are not typical Barbier. 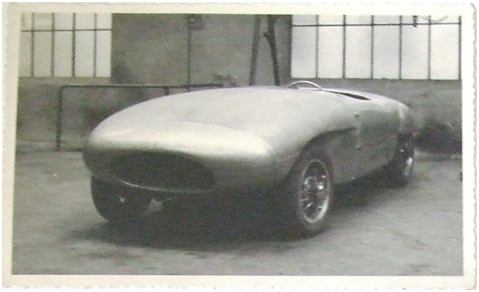 However, another car has recently turned up that is said to have been under construction for the 1956 Le Mans when Paul Barbier died while demonstrating a car to a customer in April that year. This new material will be looked at below. Paul joined his father’s coach building business at an early age and by 1925, whilst still in his mid 20’s, became the official Peugeot dealer in Vienne which is located in the Isère region, southeast France. 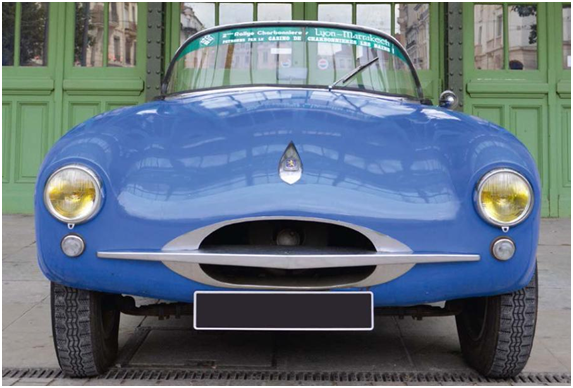 He soon started modifying and competing in these, but after the arrival of the 203 in 1948, Paul placed his competition focus on this small but advanced car. However, he soon got to thinking how he could compete again the likes of OSCA, Ferrari, Maserati and other sub two-litre Italian machinery that had become the cars to beat at events like Le Mans, Montlhéry, and the major tarmac rallies of France and Europe. 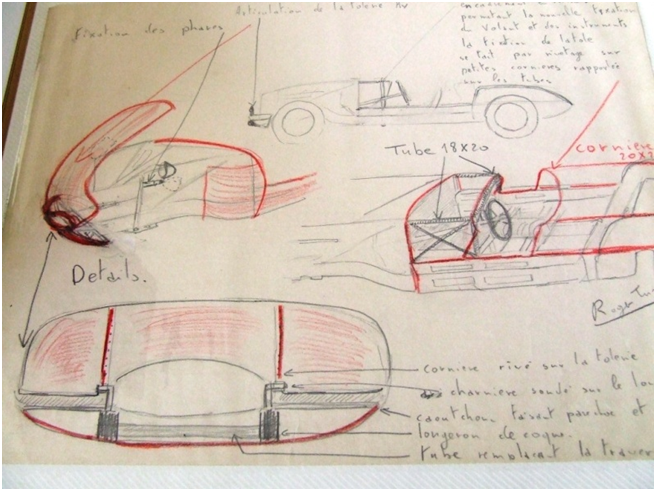 He decided to create his own coupes and sports cars on a Peugeot 203 base. 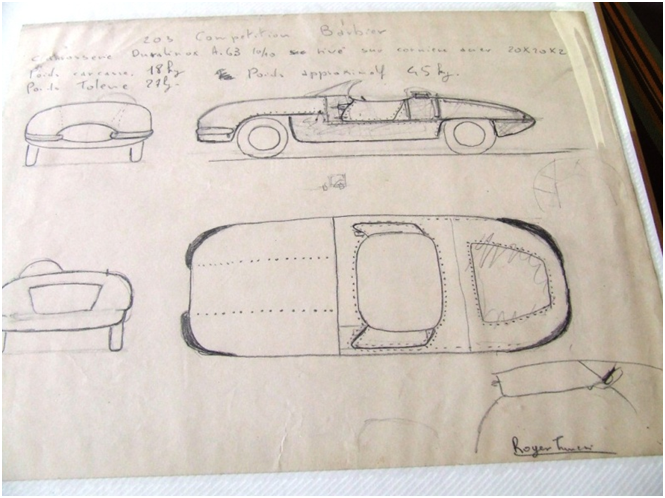 For his first car he started with a damaged vehicle in order to reduce costs. It is believed that he made 5 or 6 different cars during this period and did well in these in various major European events, but not without some issues. 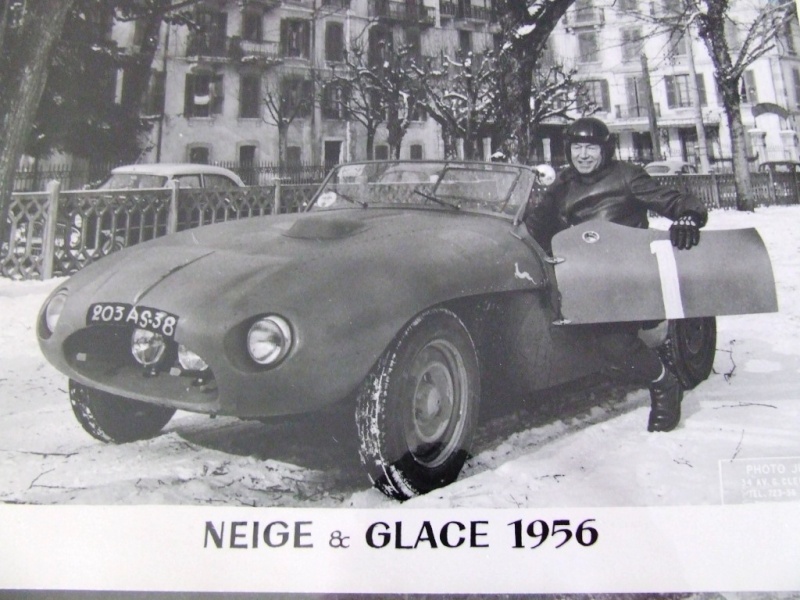 However, Paul was not alone competing in his cars as he attracted established competitors Paul Guiraud, who featured well in the Lyon – Charbonnières rallies and the 1956 Monte Carlo, and former Talbot pilot André Chambas. 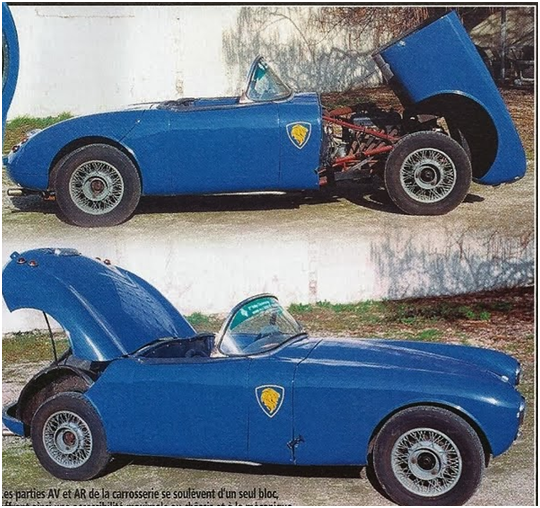 The first open sportscar, covered in the main article, came 7th with Barber/Chambers listed as drivers in the 1955 Bol d’Or at Montlhéry, Paris. 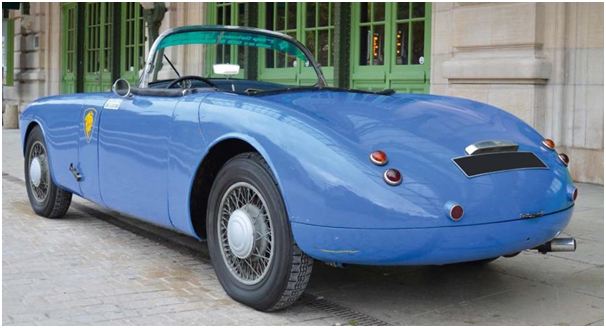 Ahead were two Porsche 550 Spyders in 1st and 2nd, a Maserati A6GCS, Gordini T15S 2.0 and a Peugeot Coupe driven by de Cortanze. 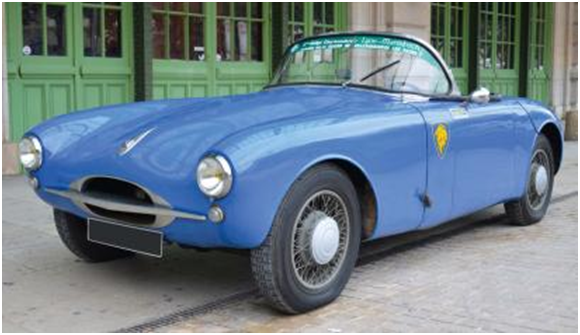 For the 1956 Le Mans it was decided to build an all-new car for Barbier and Chambas. However, it was not completed for the race owing to the accident, but was finished off over the following 15 months by the technical staff at Barbier’s dealership. 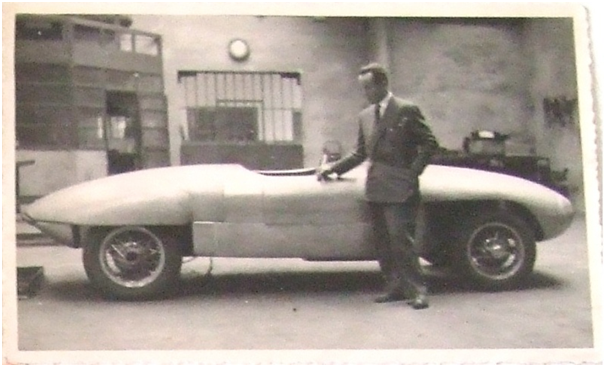 It was finished as a road car with it is suggested a frame provided by Nardi and a windscreen out of a Lancia Aurelia B20 Spider. 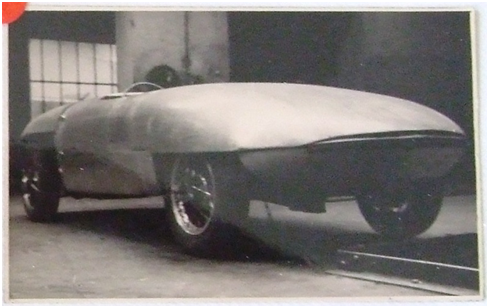 The bodywork itself was a departure from Barbier’s own competition focused cars and was based on a GRP shell by Jean Barou of Tournon. Front and rear sections of the body hinge forward to provide ‘deep’ access. The engine is a bored Peugeot 203 block bored to 1500cc and fitted with Conrero pistons, a special exhaust system including an Autobleu exhaust manifold and a special cylindrical air filter enclosure to facilitate the low bonnet line. Gearbox is four speeds instead of three, with 3rd direct drive and 4th overdrive. The remaining running gear is Peugeot 203 based. Note also the large hubs and short spokes, providing greater wheel rigidity. Interior equipment uses a variety of sources, including 203 instruments with the addition of a Jaeger rev counter. The current owner has travelled quite some distances, one trip covering 2500km, and says ‘to his own delight’! 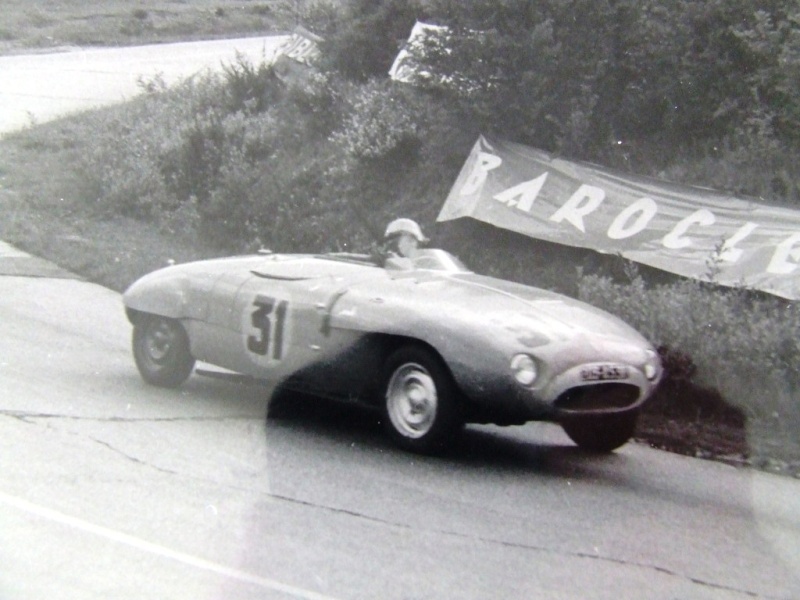 Below are photos of the original car racing, the top one at the 1955 Bol d’Or at Montlhéry, Paris.